Nice un. 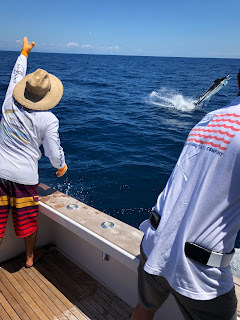 Fishing continues to be what it is: Few sails each day, a dorardo, pretty good tuna fishing, especially on live bait and an occassional marlin. 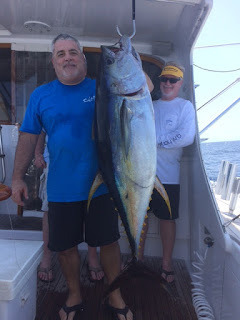 Great tuna fishing the last few days. Daily shots at marlin continue with mixed sailfish reports and a daily dorado.